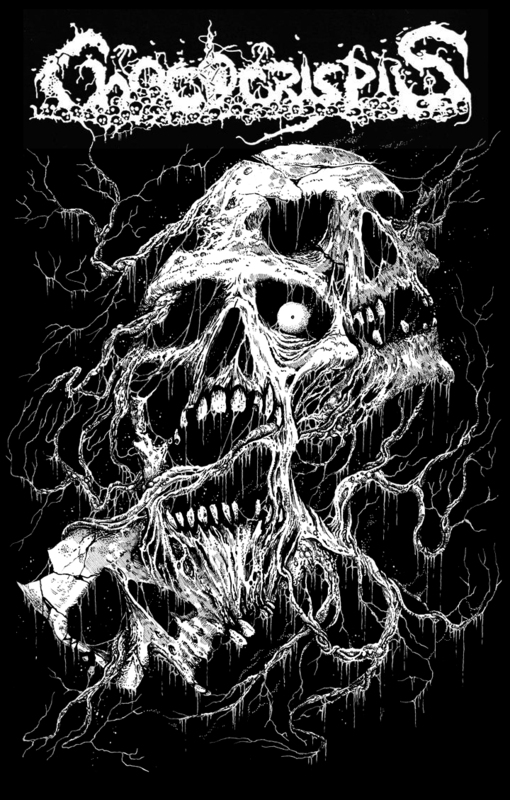 Cassette version of a split release between my band, FETID ZOMBIE, and HELLRIPPER (Scotland) is now available. Cover artwork for the repress of the early 90s CHOCOCRISPIS (Spain) demos coming soon from Ruptura Records (Spain). EP cover illustration for crushing death metal band, POISONOUS (Brazil). Stage drop illustration for CARNIFEX (USA) in support of their upcoming headline tour. 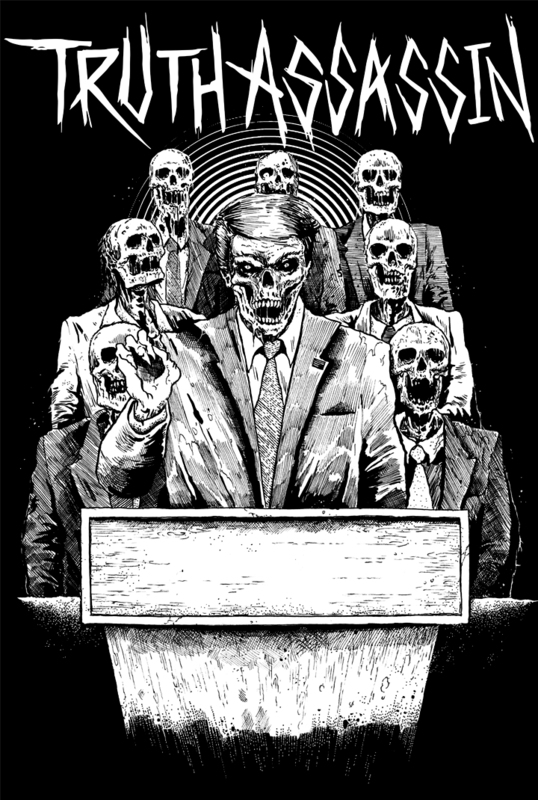 Illustration for punk band, TRUTH ASSASSIN (USA).